Stones were gathered in consultation with Aboriginal elder, Warren Meeks and later built in consultation with elder, Tim Chatfield, Brambuk Living Cultural Centre, Budja Budja, Gariwerd. The totem for the people of this area of the Grampian (Gariwerd) mountains is the sulphur crested cockatoo. Part of the inspiration for this sculpture came from the crest of the cockatoo. 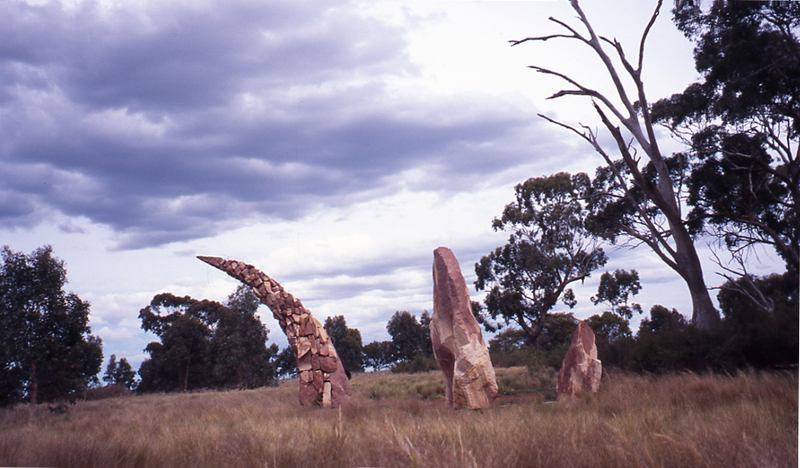 Gariwerd Sandstone now stands at the entrance way to Brambuk Aboriginal Cultural Centre.